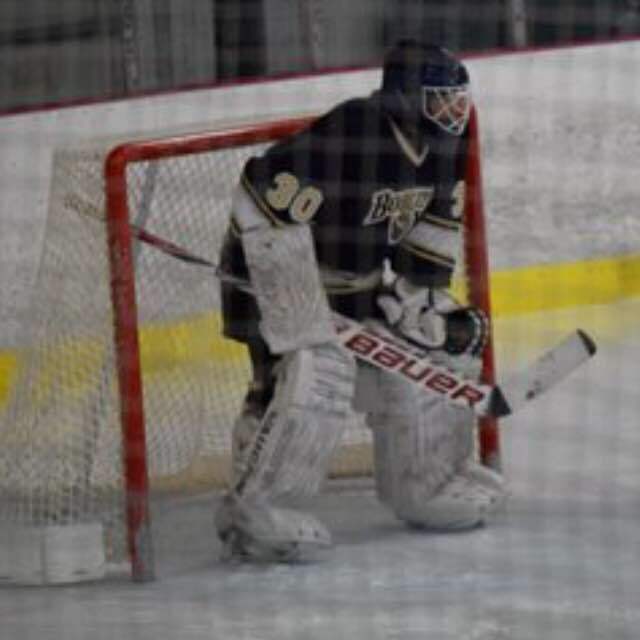 As the new semester kicks into full swing, the Pitt-Greensburg Bobcat hockey team is gearing up for the last few games of the upcoming season, and all the team members are focused on one thing: winning. Zachary “Berny” Bernstein, a member of the team, is not just focused on winning, though. “I want to win some games and also stop some more pucks,” Bernstein said. Bernstein, only a freshman, is already the starting goalie for the Bobcats. “It feels good that I have such an important role on the team.” Bernstein said. For Ben Hartman, an offensive player on the team, winning is the most important thing. Hartman, also a freshman, was named an assistant captain for the 2015-2016 season. “It’s a good feeling, but also scary because you have to do something every game since you’re a leader on the team,” Hartman said. The Bobcats are facing some harsh odds to begin the season. Because of several different reasons, the team lost or are missing four of their players from the beginning of the season. “You lose a lot of good depth when you lose four good players like that,” Bernstein said. Although the Bobcats lost four players, they did gain three new players. Hartman said the new players are fitting in well. According to both players, the hardest game this half of the season will be Penn State Altoona. “They’re a very physical team, who play a hockey system very well, and they are all skilled players,” Hartman said. The game will be played on Feb. 6 at 3 p.m. at the Pegula, the ice rink normally used by Penn State main campus. “We’re trying to bring home a win for the boys,” Bernstein said.